The 30th edition of the ultimate reference on European football, The UEFA European Football Yearbook 2017/18 contains everything that a football fan will need to watch their favourite team or country. Gloriously illustrated with dramatic action photos, artworks and maps, this exceptional volume contains a complete statistical review of the previous season's football at club and national levels. 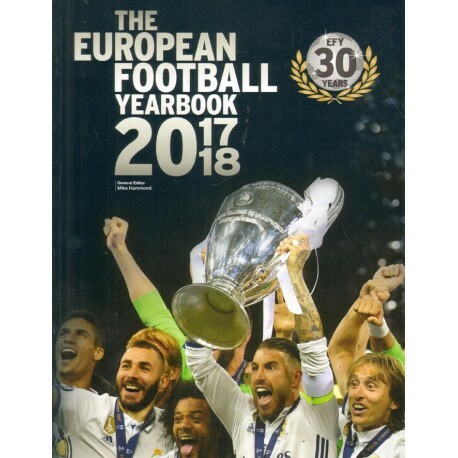 There is a selection of essays on the 100 most dominant players in European football in the past year and a detailed breakdown of each club in the top division of every country's main league. As well as a review of the first part of the UEFA qualification competition for the 2018 FIFA World Cup, the appendix provides a calendar of events for the remaining fixtures, play-offs and the dates of matches in the two main club competitions. If you are a fan of top-flight football in Europe, this is the one book you cannot afford to be without.